Depending on the job for which you're applying, you may need to email your resume and cover letter to the hiring manager. Networking contacts who are helping you with your job search may also ask you to email your application materials so they can review them and share your resume with prospective employers. If you've asked someone to give you a reference, they may want a copy of your resume to review prior to writing a recommendation. What's the easiest way to attach your resume and cover letter to an email message? When you're asked to send a resume or cover letter via email, follow these steps to ensure you have correctly attached your documents, written an email explaining what you are sending and why, added your signature to the email, and included a subject line that will get your message opened and readby the recipient. When you apply for jobs via email, the employer may require you to send your resume and cover letter as an attachment to an email message. It's important to send your attachments correctly, to include all the information you need so your email message is opened and read, and to let the receiver know how they can contact you to schedule an interview. What's most important is to follow the employer's instructions and send exactly what they have asked for in the format it's requested. If you don't, your message may end up in a spam or trash folder. Depending on your word processing software, you may be able to File, Print to PDF, to save your documents as a PDF. If not, there are free programs you can use to convert a file to a PDF. The subject line is one of the most important parts of the email messages you send to apply for jobs. If you don't include one, your message may not even get opened. Add a subject to the email message before you start writing it. That way, you won't forget to include it afterward. If the employer requests additional information, like a job ID number, be sure to include that too. You can either type your cover letter directly into the email message, copy and paste from a word processing document or if the company requests an attachment, send your cover letter and resume with the email message. So, your choices are to send a cover letter attachment or to use the email message as your cover letter. If you're writing an email cover letter, review these formatting tips before you send it. I’m writing to apply for the summer docent program at the Museum of Local History. I have extensive docent experience, having volunteered at both the Harbor Museum and ABC Art, and have led tours both as a student leader and a member of the town historical society. In addition, I’m a lifelong town resident and an enthusiastic amateur historian. I’ve attached my cover letter and resume for your review. I hope you’ll contact me at your convenience to discuss the program and to arrange an interview. Thank you for your time. It is important to include an email signature with your contact information, so it's easy for hiring managers and recruiters to get in touch with you. Include your full name, your email address, and your phone number in your email signature, so the hiring manager can see, at a glance, how to contact you. Review these guidelines for how to set up an email signature and take see these sample email signatures to see what professional signature looks like if you need some help getting yours done. To add your signature to your email message, click on File, Insert, Signature if you have a signature saved that you use for job searching. If you haven't created an email signature, type your contact information (name, email address, phone, LinkedIn) at the bottom of your message. Click on Insert, Attach File. 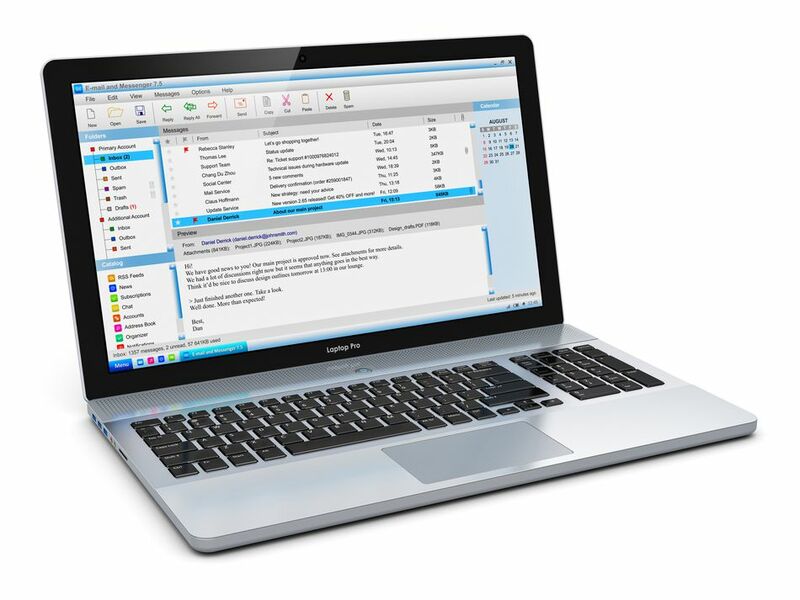 Your email client will display a list of files in the default file folder of your computer. If your resume and cover letter are stored in a different folder, click on the appropriate folder. Before you click Send, send the message to yourself to be sure all the attachments come through, and your email message is perfect. Send a copy of the message to yourself, as well as to the company, so you have a copy for your records. Add yourself as a Bcc (blind carbon copy) by clicking Bcc and adding your email address. Need more help? Here are more guidelines for how to email a cover letter and how to email a resume.